Excellent clarity for tracing. All-purpose paper recommended for liquid ink plotter pens or technical pens. 100% rag, 16-lb. stock. 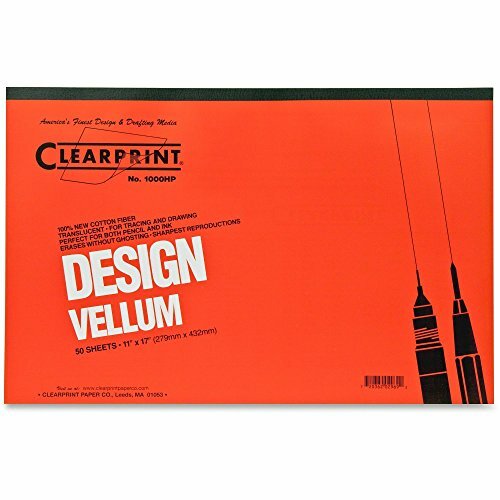 Global Product Type: Art Paper; Paper Type: Vellum; Sheet Size (W x H): 8 1/2 in x 11 in; Roll Width: N/A. Vellum Paper Pad offers 50 sheets of plain smooth surfaced paper that allows the use of pens, colored pencils and regular pencils for rendering quality artwork. Paper is transparent with a frosted quality, so you can see through it to use a ready made design that you wish to draw, paint or color. 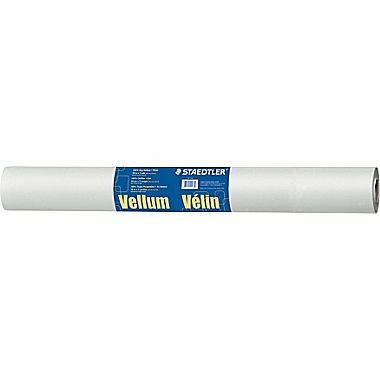 Vellum paper is ideal for projects in schools and businesses. 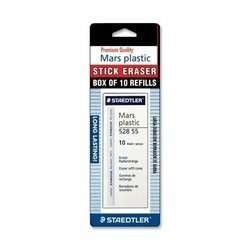 Erases clean with no smudges or ghosting. Contains 25 percent rag. Excellent clarity for tracing. All-purpose paper recommended for liquid ink plotter pens or technical pens. 100% rag, 16-lb. stock. 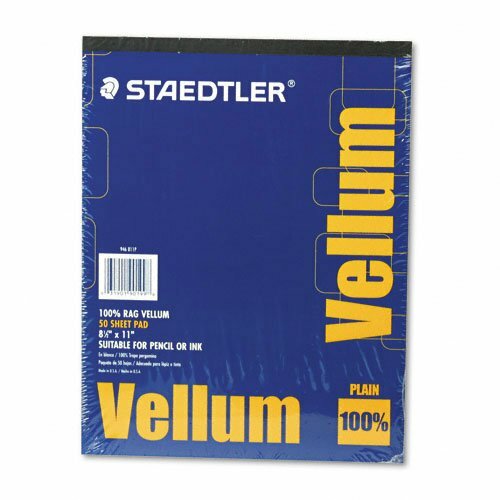 Staedtler Vellum Paper Pad - Letter - 8.5"
This all-purpose paper recommended for liquid ink plotter pens or technical pens. It is 100% rag, 16-lb. stock. 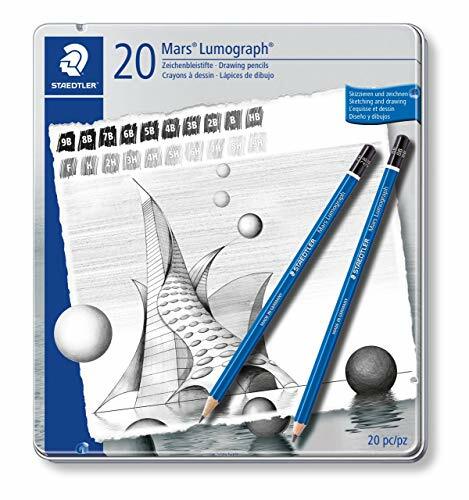 And features excellent clarity for use on tracing, technical drawings, plans and blueprints. 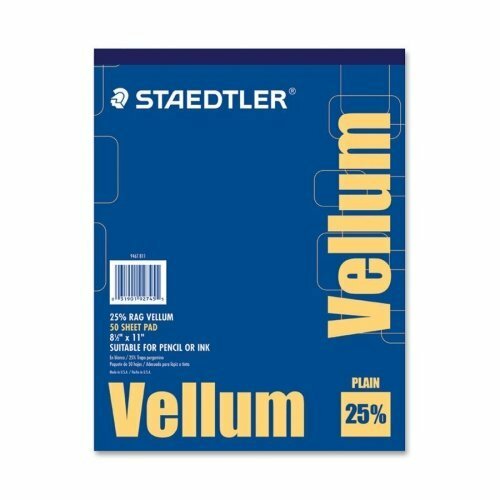 Boost your creativity using this Vellum Paper from Staedtler! This will surely give a unique look on your designs and themes. Global Product Type: Art Paper; Paper Type: Vellum; Sheet Size (W x H): 8 1/2 in x 11 in; Roll Width: N/A. Maven Gifts provides you with only the most durable and well-designed items. You can always rest assured that your items will come as expected, featuring high quality construction and well detailed designs. We take pride in our items and selection for you. We work hard to bring together your favorite items to make your shopping experience more convenient. Instead of spending countless hours looking for everything you need, get it all at once with Maven Gifts' single clicking, one stop shopping. 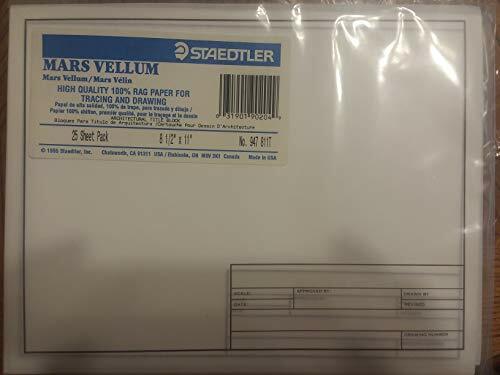 This package includes (2) Set of 50 Sheets Staedtler 16# Rag 8.5 x 11 Inches Plain Mars Vellum Paper Pad. 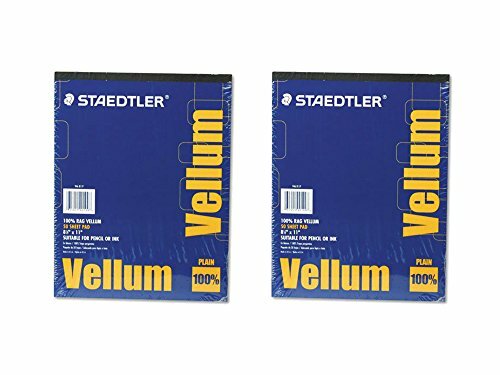 Wholesale CASE of 25 - Staedtler Vellum Paper Pad-Vellum Pad, 16 lb., 50 Sheets, 8-1/2"x11"
Staedtler Mars Carbon Lead, 12 x 2mm, HB (200-HB) - The leads can be used on paper and vellum - an indispensible tool for precise drafting, drawing, sketching, and writing. 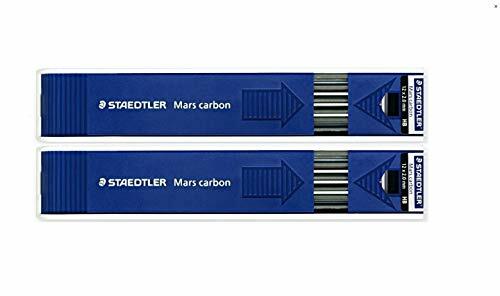 The superior quality and strength of the specially bonded lead prevents breakage during use and sharpening! 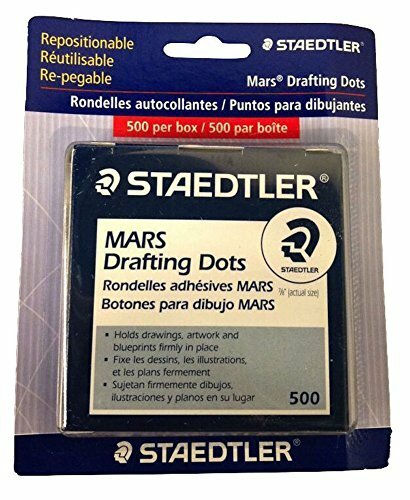 Mars Drafting Dots hold drafting media firmly in place on drafting surface. Dots come in convenient pull-tab dispenser for easy dispensing. Use these self-adhesive, repositionable dots to help you rearrange drafting media on drawing boards. 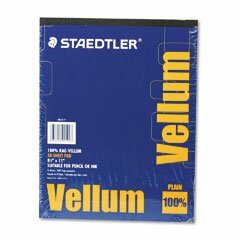 Compare prices on Staedtler Mars Vellum Paper at Elevelist.com – use promo codes and coupons for best offers and deals. We work hard to get you amazing deals and collect all avail hot offers online and represent it in one place for the customers. Now our visitors can leverage benefits of big brands and heavy discounts available for that day and for famous brands.